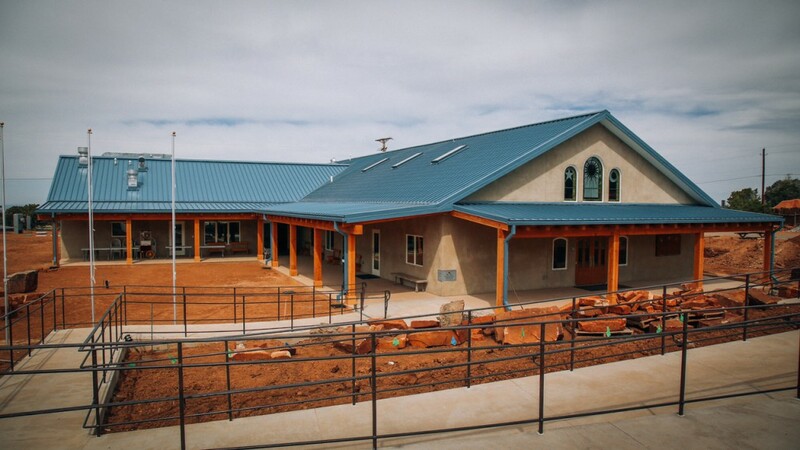 On April 24th, Núcleo Santa Fe inaugurated its Temple, located in the city of Santa Fe, New Mexico, USA. The inauguration brought together people from all over the US, Europe and Brazil, and took place after the Gathering of the Council of Central Administration (CONACE) of the 1st Region of the União do Vegetal in the USA, which took place on April 22-23. 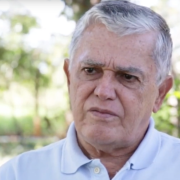 On the afternoon of Sunday the 24th an Extra Session was held, directed by General Representative Mestre Clovis Cavalieri Rodrigues de Carvalho, with simultaneous translation into English. Also present were Mestres of the Council of the Recordation of the Teachings of Mestre Gabriel, José Luíz de Oliveira and Raimundo Monteiro de Souza, and their respective wives conselheira Emanuella Gomes Silva de Oliveira and conselheira Zildinha Felícia da Costa Monteiro de Souza; as well as General Assistant Mestres Edson Lodi Campos Soares and Luis Felipe Belmonte dos Santos. Others who participated in the Session include the Central Mestre of the 1st Region in the US, Paulo Afonso Condé; the President and one of the Vice-Presidents of the General Directorate, mestres Wladimir and Pedro da Rós, respectively; conselheira Suely de Carvalho (widow of Mestre Florêncio Siqueira de Carvalho), among other esteemed mestres, counselors, and brothers and sisters. The festivities after the session included a festive dinner with the irmandade of the núcleo and additional guests, and a video presentation of the construction of the temple including a time-lapse video of the construction process. The attorneys who represented the Center in the United States over many years also attended the festivities. 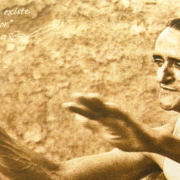 With the passing of time the words of Mestre Florêncio became a reality. The sessions initially took place in a temporary structure, on the same land where today the permanent Temple is established. From 2009 until April 2016, the núcleo rented a temporary location in another area of the city and used it for holding sessions. Click here to learn more about the construction of the Temple of Núcleo Santa Fe. The project to build the temple began in 2007. The project went through several refinements through the years of planning, with teh vision of the simple and dignified standard of the Temples of the Beneficent Spiritist Center União do Vegetal. The application to build the project was denied in 2011 by Santa Fe County, when the County Commissioners succumbed to pressure by neighbors who did not want the project built. 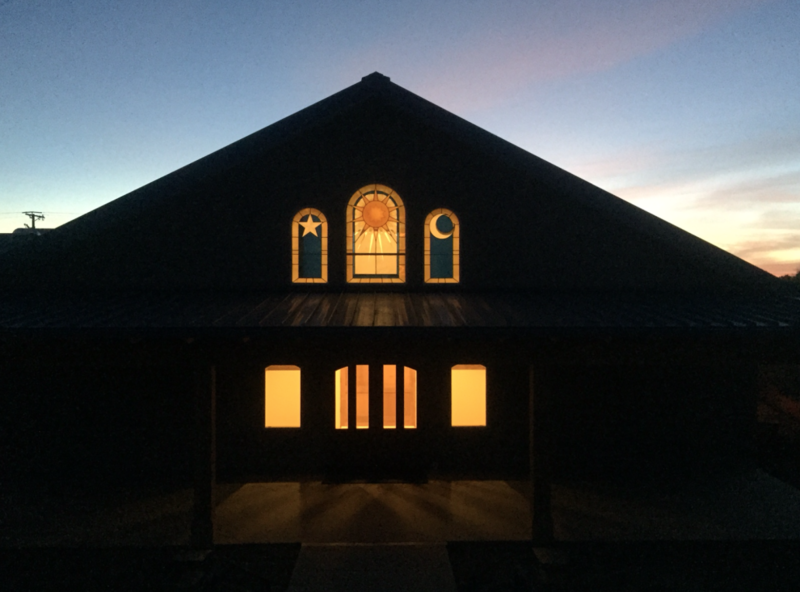 The UDV initiated a lawsuit in Federal Court against the County in 2012, affirming that the religious freedom guaranteed by the Constitution of the United States includes the use of land for religious purposes, including for the building of churches and temples. Recognizing the error, the County settled the lawsuit with the Center to allow the construction of the temple. In 2013, 5 neighbors of the project filed a lawsuit in state court against the County, claiming that the settlement between the County and the Center was incorrect. After several months of mediation between the Center, the County and the neighbors, both cases were resolved and settled definitively. Paying back bad with good, as is the teaching of the União do Vegetal, and respecting the authorities and the neighbors, Núcleo Santa Fe earned its due respect and authorization to build its permanent temple. Construction began on June 9, 2015. The construction was done by a contractor that was hired by the Núcleo, under the supervision of the Project Manager, Central Assistant Mestre of the 1st Region in the US, Tai Bixby. The irmandade also participated in the construction and together placed the cornerstone on November 1st, 2014, a symbolic date in the União do Vegetal and also for the irmandade of the United States. The project was completed on April 6, 2016, and was inaugurated on April 24th. It represents the harvest of a fruit that had been planted with love, dedication, and above all, faith.